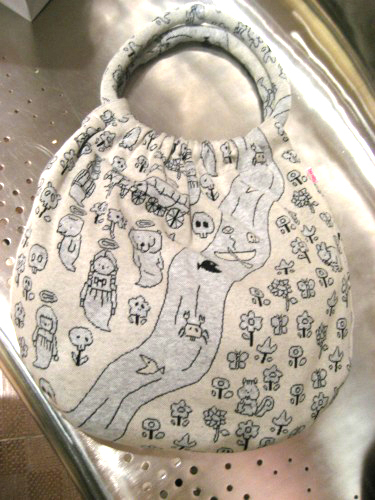 This is a bag which named Heaven from Ne-net. Ne-net is a casual clothing brand. 2009 Spring & Summer Season Theme is ” Like heaven like hell” It’s kind of a scary Theme, but the bag is cute and funny. Ooh! It’s lovely and spooky! Absolutely cute! Can it be bought via net-shop to Finland?